When traffic of your site goes up, the efficiency of your server will go down. Moving your website to a dedicated server can solve this problem, but it can be an expensive solution. This is when caching becomes important. WP Super Cache is one of the most popular and very fast caching engine for WordPress. This WordPress plugin generates static html files from your dynamic WordPress blog. After a html file is generated, your web server will serve that file instead of processing the comparatively heavier and more expensive WordPress PHP scripts. But if you need to uninstall "WP Super Cache" to try another great caching plugin like "W3 Total Cache", this tutorial explains how to remove WP Super Cache properly. 1. 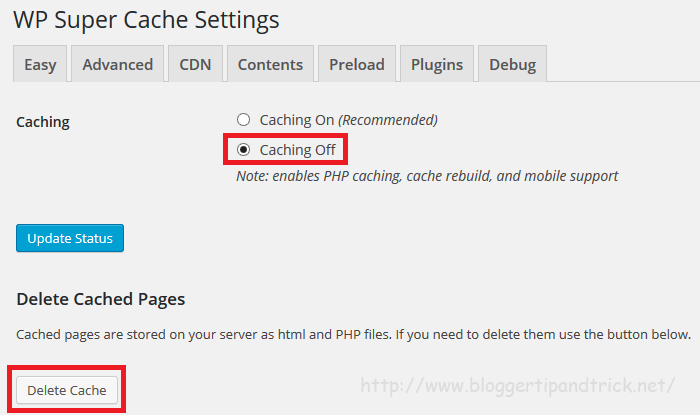 First you need to activate "Caching Off" on the plugin settings page and after that delete cache. 2. Now deactivate the plugin on the plugins page. 4. Finally remove the Super Cache mod_rewrite rules from your .htaccess file.